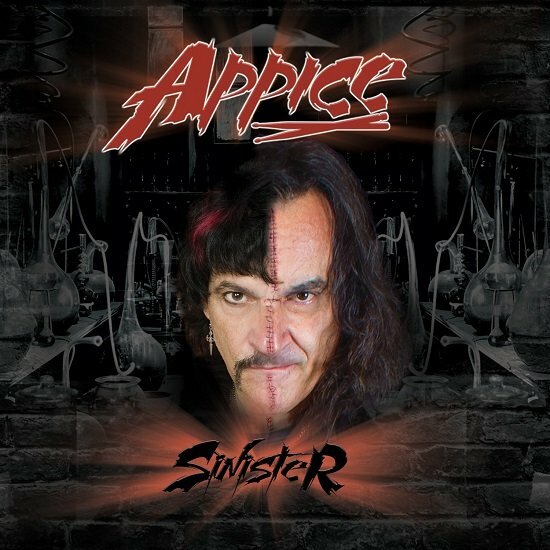 We had the nice opportunity to ask legendary drummer Carmine Appice some questions about his career, collaboration with his brother and the brandnew release. Here we go! I was lucky enough to have the chance and hear your first real album as „drumming brothers“ together in advance. You´ll find the review about it on our website – right here. 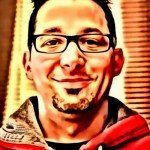 Now I´d like to ask you some questions about the release and some other things. MH.de: I´m a drummer myself and have the classical „career“ of hitting pots, pans and jam glasses, before my dad bought me a drum kit. How did you and your brother start and did you influence each other at that time? MH.de: You are looking on a career of about four decades. First of all respect fort hat, especially working with an insstrument, that is physically demanding. How do you manage to still stay in shape? CA: 5 DECADES!! – 50 YEAR ANNIVERSARY THIS YEAR…I TRY AND EAT WELL, GO TO THE GYM. BUT THE KEY IS I NEVER DID DRUGS OR WAS NOT A ALCOHOL DRINKER EITHER…I HAVE HAD ROTATOR CUFF PROBLEMS AND OTHER AILMENTS, BUT I JUST KEEP ON PLAYING…IT´S WHAT I LOVE TO DO!! MH.de: Do you practice aside of playing live or/and in the studio? CA: NOT A LOT. ONLY WHEN TRYING TO LEARN SOMETHING NEW AND USUALLY ON THE DRUMS. BUT SOMETIMES I MAY WORK ON HAND EXCERCISES. MH.de: What do you prefer – playing live on tour or being in the studio? CA: IT´S ALL ABOUT LIVE…PLAYING FOR AUDIENCES, CAPTURING ENERGY FROM BOTH STAGE AND AUDIENCE. STUDIO IS ANOTHER TRIP. WHERE THE MUSIC CREATION HAPPENS, BUT I LOVE DOING THE CREATING IN THE STUDIO. REALLY TWO DIFFERENT FLAVORS OF MUSIC. MH.de: Why did it take you two so long to do a full album together? And how did it finally happen? CA: UP UNTIL RONNIE DIO PASSED, VINNY WAS ALWAYS BUSY WITH RONNIE…I WAS BUSY THEN IN 2011. WE STARTED FIGURING OUT TO DO DRUM WARS SHOWS…AND THAT´S ALL IT WAS GOING TO BE…A SHOW. IN 2014 – I THINK – WE DID A LIVE-CD TO SELL AT GIGS. THEN OUR CURRENT MANAGER SUGGESTED DOING A PLEDGE MUSIC CAMPAIGN AND DOING A STUDIO ALBUM. WE AGREED TO GIVE IT A GO AND DID: SINISTER. IS THE END RESULT!! MH.de: Are you satisfied with „Sinister“? Did you feel any pressure from any side to be „perfect“? CA: WE ARE BOTH VERY HAPPY WITH THE WAY IT CAME OUT. WE TRIED TO MAKE IT AS GOOD AS WE COULD. THE ONLY PRESSURE WAS, TO DELIVER THE ALBUM ON TIME. OTHERWISE IT WAS A LOT OF FUN CREATING THIS DOUBLE HEAVY DRUMMING ALBUM. BY THE WAY…NOTHING IS EVER PERFECT. MH.de: I´m impressed oft he result and would be happy to hear more music oft he Appice-brothers. Is there any chance for a „follow up“-album? CA: OH YES, WE CAN CERTAINLY DO ANOTHER AFTER THIS ONE RUNS IT´S COURSE! AS I SAID, IT WAS FUN MAKING IT AND WILL HAVE MORE FUN NEXT TIME. IT WAS A LITTLE EXPERIMENTAL IN THE PRODUCTION WITH VINNY ON THE LEFT AND ME ON THE RIGHT…REALLY DIFFERENT. THAT WAY, YOU CAN HEAR US BOTH VERY CLEARLY. BUT IT WILL BE A LITTLE WHILE BEFORE WE MAKE A NEW ONE…WE WANT TO PLAY THESE SONGS LIVE FOR A WHILE. MH.de: Can we hope for a tour here in Germany to go alongside with the release of your album? The „Sinistour 2018“!?…Hahaha! CA: YES, WE ALREADY ARE BOOKING TWO EURO TOURS. ONE IN JANUARY AND ANOTHER IN MAY 2018. YOU WILL LOVE THE SHOW. WE ALREADY DID SOME USA-SHOWS TO TRY OUT THE NEW SONGS. WE PLAYED „RIOT“, „SINISTER“, „MONSTERS AND HEROES“ AND „SABBATH MASH“ LIVE. THE AUDIENCE LOVED EACH SONG…AND WE LOVED PLAYING THEM AS WELL!! MH.de: Could you imagine to do such an album with another drummer? Whom would you pick? CA: IT CAN BE DONE, BUT WOULD BE DIFFERENT, AS ME AND VINNY ARE DIFFERENT BUT SIMILIAR AND BECAUSE WE ARE BROTHERS IN DRUMS. NO EGOS…WE GET ALONG GREAT. WHO WOULD I PICK…IT WOULD BE NICKO FROM MAIDEN. HE´S A GOOD FRIEND, A REALLY GOOD PLAYER! MH.de: Are you ever thinking about retiring from being a drummer „as a job“? CA: NO!! I´M GOING TO PLAY, UNTIL MY BODY SAYS: „NO MORE“!! BESIDE DRUMMING AND MUSIC IS NOT MY JOB!! THAT´S THE FUN PART. THE JOB IS TRAVELING TO GIGS, SPENDING HOURS AND HOURS TRAVELING FOR THE 90 MIN ON STAGE. THAT´S THE JOB!! I GET PAID FOR TRAVELING, THE GIG IS FREE!! MH.de: Nowadays the kids stick to many digital media devices. How would you convinve them to grab an instrument and practice? MH.de: Finally: you have the chance to address a word to our readers. What do you wanna tell them? CA: I WOULD SAY TO TRY AND FIND SOMETHING YOU LOVE TO DO, WHETHER MUSIC OR NOT. BUT TRY AND FIND SOMETHING, THAT IS FUN FOR YOU…THAT YOU MAY HAVE A PASSION FOR. THEN JUST GO FOR IT 100%!!! FIND YOUR AREA OF EXPERTISE AND GO FOR IT. ALSO THANK YOU TO ALL THE FANS WHO ARE STILL AND HAVE BEEN FOLLOWING THE APPICE BROS ALL THESE YEARS. WE COULD NOT BE DOING THIS WITHOUT YOUR SUPPORT. SO CHEERS TO YOU ALL – YOU ROCK!! THX!! !